Kathmandu’s denizens who don’t own a vehicle are often left with two unsavoury commuting choices: using taxis driven by cabbies who are notorious for refusing to take passengers where the passengers want to get to and for refusing to use their meter; or squeezing themselves into overcrowded public vehicles. Thus the need for a dependable and reasonable transportation service for the daily Kathmandu commuter is more dire than ever. This clear gap in the market has created opportunities for disruptive cab-hailing startups like Kawa, Onver and Eddy Cabs to enter the market and meet commuters’ needs. One such game-changer is Sarathi. ‘Sarathi’ is the Sanskrit word for charioteer. In the Mahabharata, Krishna was Arjuna’s Sarathi. The ideal driver for Arjuna, he directed Arjuna towards the right path when Arjuna was faced with adversities. 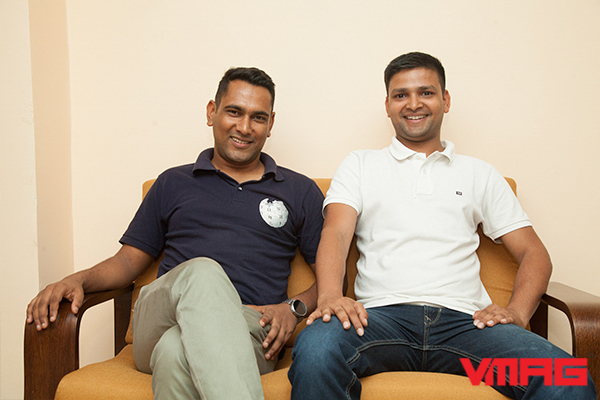 Sarathi’s founders, Ravi Singhal and Prakash Neupane, thought Sarathi would be a fitting name for their cab-aggregator company because they wanted their drivers to be the ideal drivers for the people of Kathmandu. ‘Cab aggregator’ is a fairly new term that simply describes an entity that connects taxi drivers with passengers. Meaning, that in Sarathi’s case, instead of buying or renting out taxis, the cab aggregator company brings together independent cabbies from around Kathmandu and provides fair taxi services through a single company. 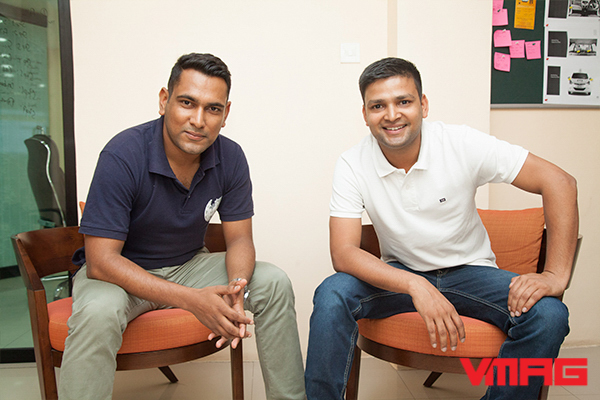 The idea for the startup came to Singhal during a period when he started to realise that he was being cheated by Kathmandu’s cab drivers and that they were being anything but ethical in their dealings with passengers like him. While some drivers refused to use their fare meter for certain routes, some seemed to have tampered with their meter altogether. Finding a taxi for his ride back home was easily the most frustrating part of Singhal’s already long day. This is when Singhal realised how his plight was probably similar to that of a lot of customers across the city. As Singhal saw it, the availability of taxis wasn’t the problem: the transparency in pricing and the drivers’ unwillingness to provide service were. He saw the potential that a proper cab-booking service in Kathmandu could have, and approached his friend Prakash Neupane with his idea. 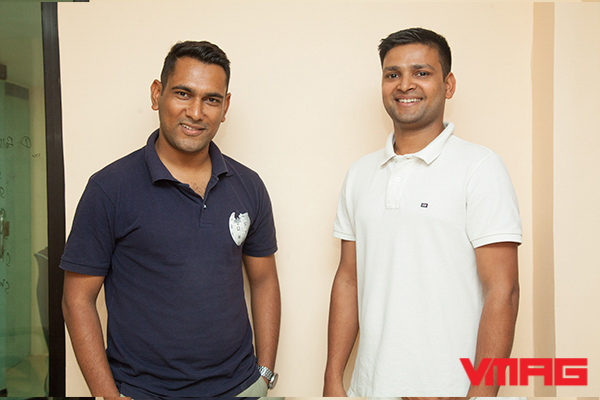 The two thus started on their startup journey by pooling capital with the help of friends and investors, and registering their company under the name Sarathi in 2016. After nine months of research, a pivot, and four more months of intensive study of the Kathmandu cab market, the product was rolled out in May 2017. The product received an overwhelming response from the customer base, and it wasn’t long before Sarathi became the talk of the town. But quite a few people still don’t understand what Sarathi does. Many mistakenly believe that Sarathi’s operations are similar to Uber’s, which isn’t surprising since some aspects of Uber’s business model do feature in Sarathi’s too. However, Sarathi isn’t a ride-sharing platform like Uber, where anyone with a licence and a working car can become a driver. Sarathi is primarily seeking to address the problem of transparency in cab-fare pricing, rather than resolving a cab-unavailability problem—an issue that Singhal has already concluded doesn’t exist in Kathmandu. This is the reason why Sarathi chooses to work with the already-operating cabbies of Kathmandu, instead of saturating the market with new ones. “Rather than bringing a new player into the market, we transform the existing ones,” says Singhal. Right now, Sarathi’s drivers work off a 24/7 phone line that a customer can call to book cabs. To make their service accessible to as many people as possible, Sarathi cabs are stationed in Kathmandu’s busiest spots—in commercial areas and so on. Once the booking is confirmed by the customer over telephone, the request for a ride is accepted regardless of the distance the passenger will want to travel. A Sarathi cab is allocated to the customer on the basis of the proximity between cab and customer. So if a Sarathi cab is in close proximity to the requesting customer, the customer can expect a cab to be dispatched in their direction in just a few minutes. Sarathi is also developing an app, and once the technology-heavy app rolls out, customers will not only be able to book cab rides through the app, but also track their taxis by using tools like Google Maps and GPS. Why become a Sarathi driver? Being a taxi driver is difficult in Nepal. Chauffeuring grumpy passengers, braving the city’s traffic congestion, and spending sedentary hours behind the wheel can take a toll on anyone. Most cabbies drive taxis they don’t own and have to pay cab owners Rs 1,500-2,000 every day, regardless of how much the cabbies make that day. This fee, combined with the need to earn enough money to cover fuel and maintenance cost, pushes the cabbies to refuse to use their meter, and charge outrageous amounts of fare. Just to break even, cabbies have to make eight rides a day on the fare meter. Most of them don’t have the confidence that they will be able to earn enough money in a day to break even, let alone make ends meet. Becoming a Sarathi driver ensures that this psychological pressure is lifted off the cabbies’ shoulders, as the drivers at Sarathi work on a salary basis. With fuel and maintenance cost borne by Sarathi, their drivers no longer have to spend anxious hours behind the wheel waiting for the right customer to approach them. Sarathi’s drivers say that they are proud drivers now who feel better off working on a salary basis with the company. Sarathi believes that hiring the right drivers is invaluable. Every driver at Sarathi goes through a series of tests and screenings. They seek people whose skills and personality resonate with Sarathi’s core beliefs: the taxi comes to you, the taxi never says no, and the taxi always runs on meter. Since many Sarathi drivers will be learning to work in a new, tech-supported, system, they are given classes on how to use to their advantage smart technology like Google Maps and GPS. They are also taught how to make digital transactions, and once they pass Sarathi’s meticulous evaluation, they are put through first-aid training and personality development programmes too. The hoops Sarathi jumps through to recruit the perfect driver is proof that Sarathi doesn’t compromise with the safety and comfort of its passengers. Sarathi seeks to safeguard the interests of taxi drivers whilst still keeping taxi commutes pocket-friendly. As of now, Sarathi only works with 50 taxis plying the roads of Kathmandu, but that number is increasing every day, and a pool of drivers is always eagerly waiting to pass Sarathi’s evaluation. In the near future, the founders hope to welcome more drivers and customers into the Sarathi family by expanding operations to other locations across Nepal.